The basic model in our offer. One-axle dyno, allowing for the measurement of power and torque in the inertial mode. A possibility of a further upgrade to the braked version. The dyno is offered in mobile or pit version. 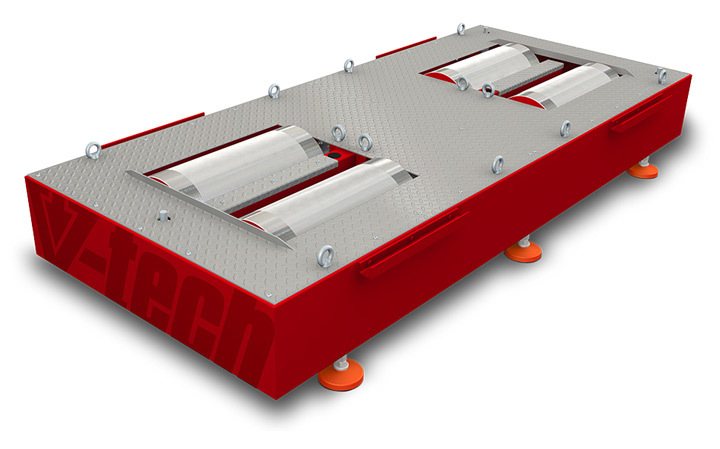 The VT – 2 Modular Dynamometer is a basic but very capable machine and the ideal rolling road for a wealth of tuning applications. This one-axle dyno allows for the measurement of power and torque and makes a popular option in a cost-conscious workshop setting. Perfect for the automotive tuning sector, this classy chassis dyno enables technicians to perform a range of tests, without ever having to leave the comfort of the workshop. You can establish real-time load conditions and take accurate power and torque measurements through the rollers of this high-quality car dyno. Features include inertial test modes, mobile or pit versions, and the possibility to upgrade to a braked version if you like. With a wealth of additional accessories available, including turbo pressure sensors and cooling fans, you can customise the VT-2 dyno machine to suit your workshop and your budget, and make it work for you. Ideal for all types of rolling road testing including fuel consumption, diagnostic and analysis, we have the perfect car dyno in Northampton waiting for you, so take a closer look at the VT-2 Modular Dynamometer. If you would like further advice and guidance, or simply want to know more about the benefits of any of the dynos we have for sale here at Hi-Tech Performance, please don’t hesitate to get in touch with us today. You can contact us to leave a message, or simply call us if you prefer on 01604 755 220 and speak to a member of our friendly tuning specialists about the amazingly accurate rolling roads we have for sale. Cars with higher engine power can be measured with lower accuracy. Maximum power depends on engine torque characteristic and engine rotations.